LET THE LITTLE CHILDREN COME TO ME… IT IS TO SUCH AS THESE THAT THE KINGDOM OF HEAVEN BELONGS. 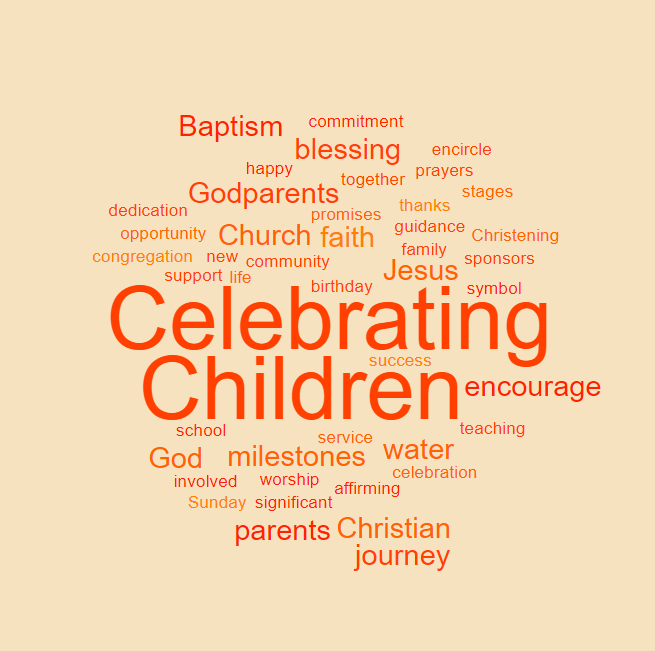 There are a variety of ways that Children can be celebrated in the life of the Church, whether that be Baptism (Christening) or Blessing, or through marking important stages in a life journey. These actions can encircle the child in God’s blessing and in the prayers of the community of faith. 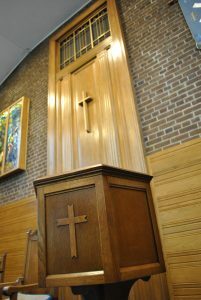 Baptism is entry into the life of the Church. This takes place during our main Sunday service and uses water to symbolise the new life that comes with making a commitment to Jesus and to the Church. Parents, Godparents and the Congregation each make promises to provide an upbringing within a faith community, and to provide appropriate Christian teaching and support. Sometimes it is more authentic to parents and congregation to have a Blessing (or Dedication) for the child. In the context of a Sunday service, we give thanks for the life of the child and, through prayer, ask for God’s blessing. There is not any water and there are not promises to be made. 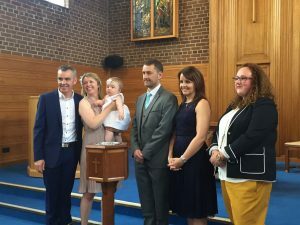 Instead, it provides an opportunity to worship together as a family, for ‘Sponsors’ (rather than Godparents) to be named and encouraged, and for the Church to be involved in affirming and blessing a child. Additionally, it is possible to ask for God’s guidance and support of children as they reach milestones on their journey – whether that be starting or changing schools, successes in activities or sports, or celebrating a significant birthday – for the community to offer encouragement and blessing. To talk about any type of celebration for a child, contact the Minister, Rev’d Dr Matthew Prevett who will be happy to talk about the possibilities.